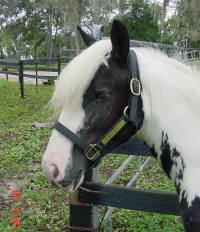 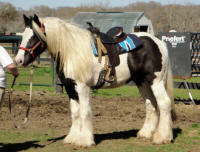 Rose Petal is our second Gypsy Vanner mare. 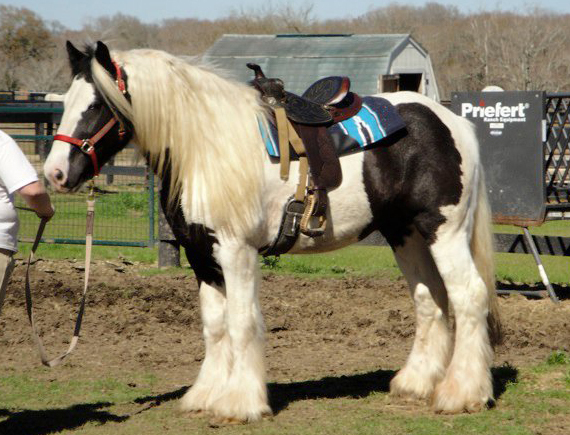 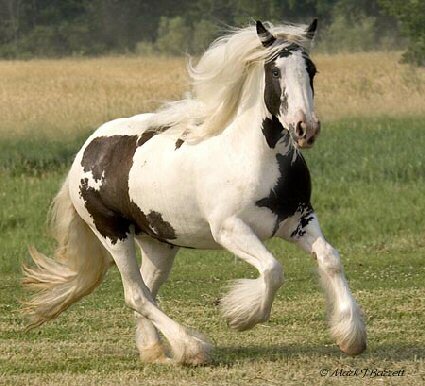 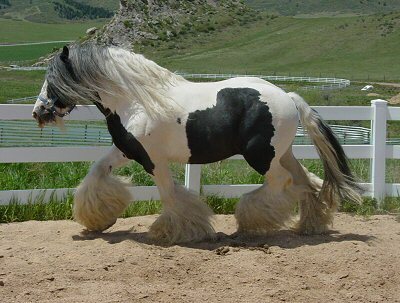 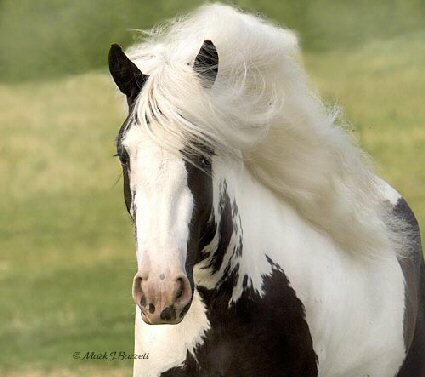 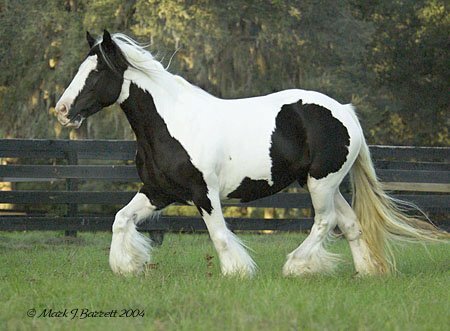 She is a half-sister to Rawnie; both are by America's first Gypsy Vanner stallion, the late Cushti Bok. 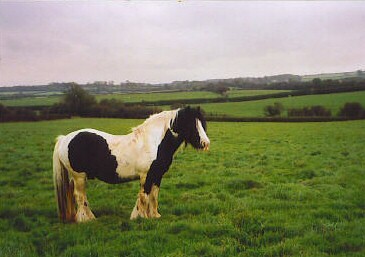 Petal's dam is Gypsy Gold's Rose, a DNA confirmed daughter of The Lion King and a granddaughter of The Lob on her dam's side. From the day she was born, I wanted her! I purchased her full sibling in utero in 2003, since she wasn't for sale. 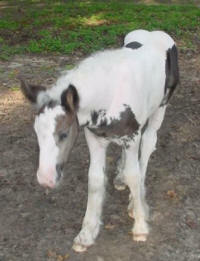 That foal was a colt, Perfect Storm (see sales page.) 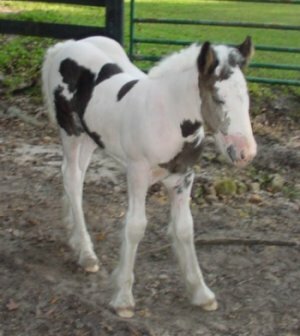 Since I didn't need a colt that was related to Rawnie, I sold him. 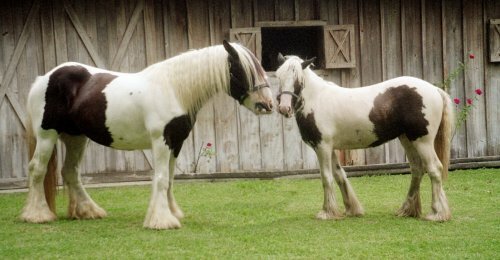 These many years later (Petal is seven!) 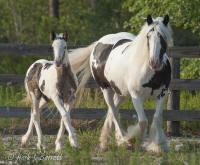 I was able to purchase Petal from Anne Crowley of Vintage Vanners. I am thrilled! 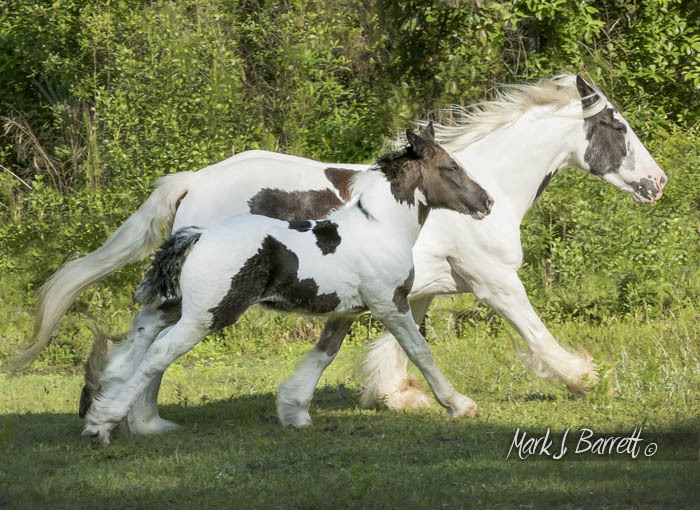 Rawnie and Petal are the only two horses I have ever felt like I "had to have" and they are both home with me now! 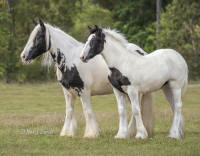 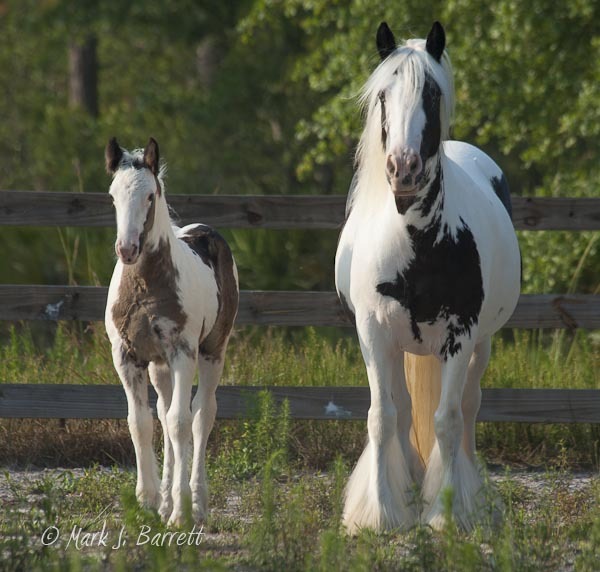 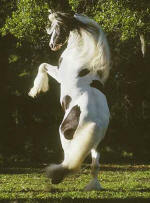 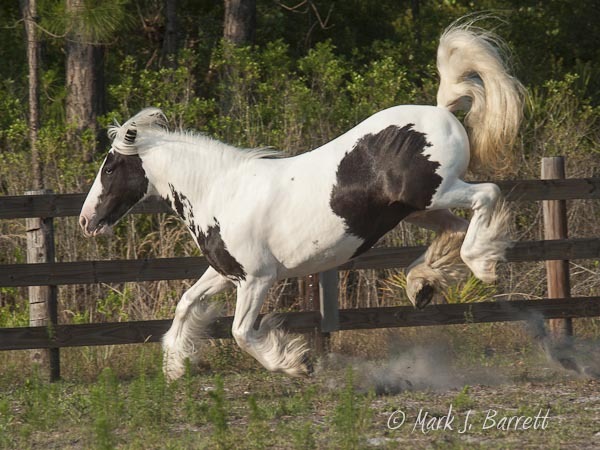 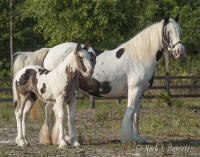 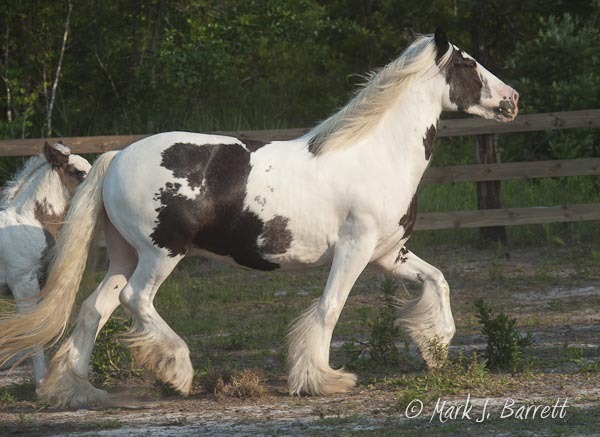 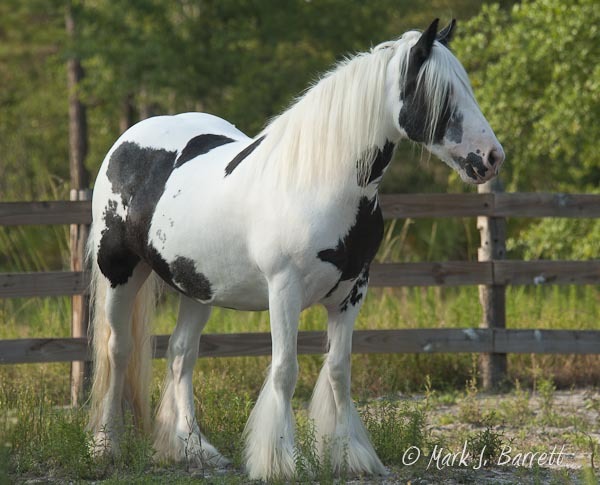 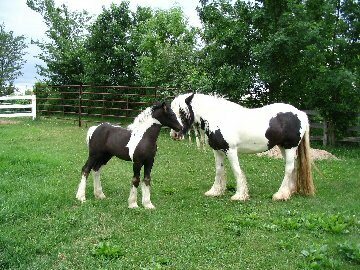 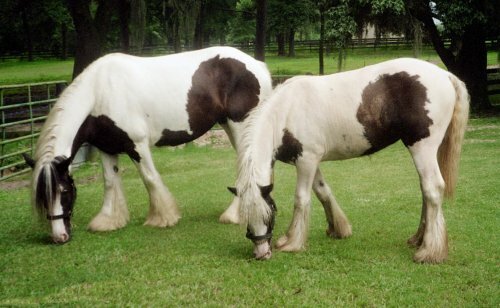 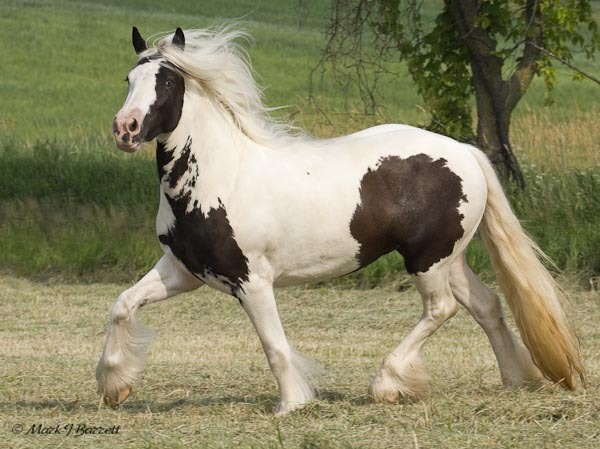 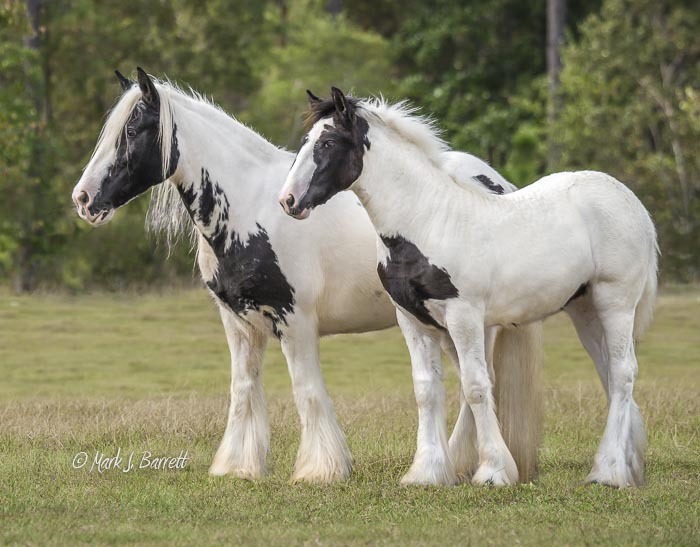 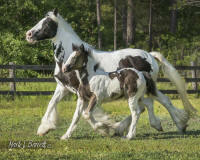 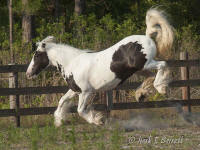 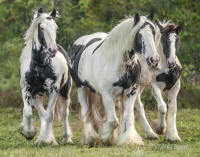 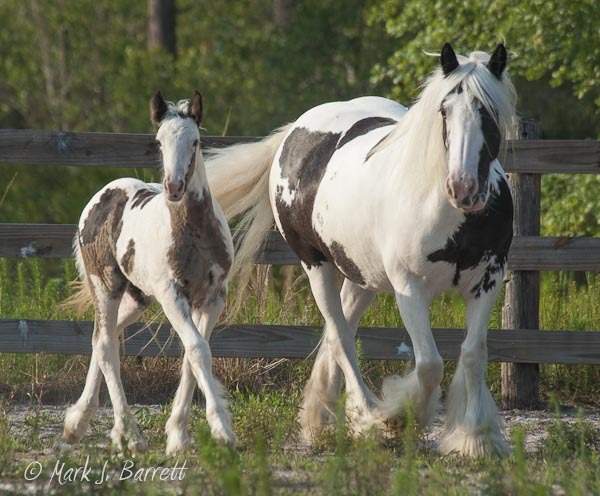 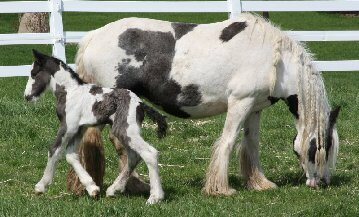 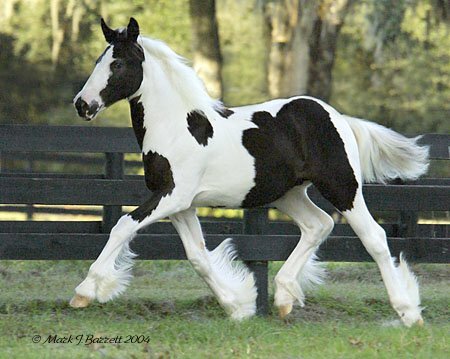 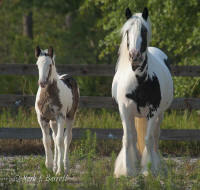 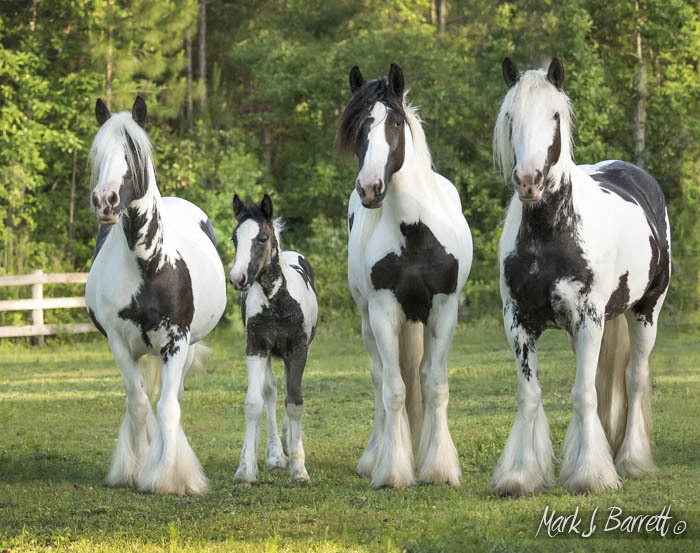 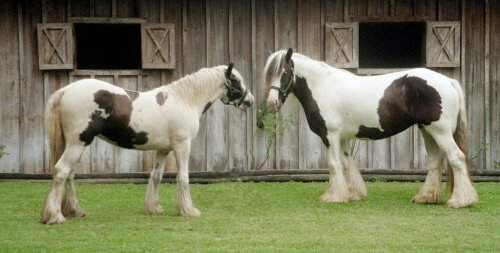 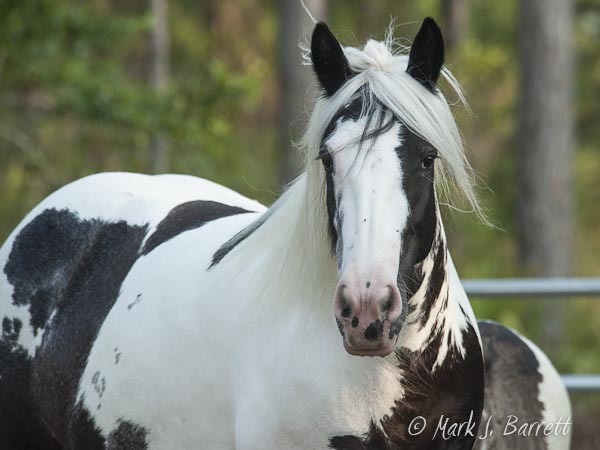 Petal is homozygous for tobiano and black so her foals will always be black-based pinto. 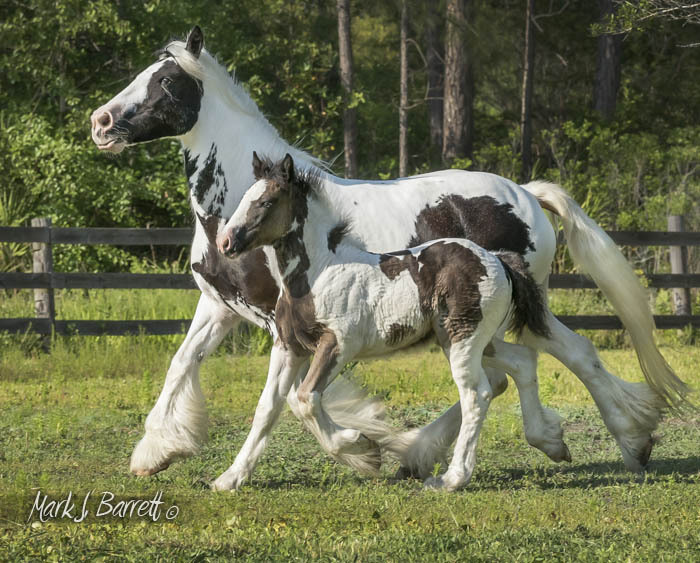 On April 18, 2017, Petal had a gorgeous black and white filly by BB King! 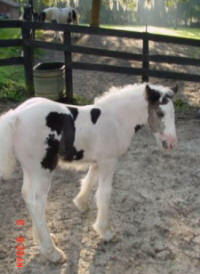 Petal has had seven foals total, five fillies and two colts. See her babies here! 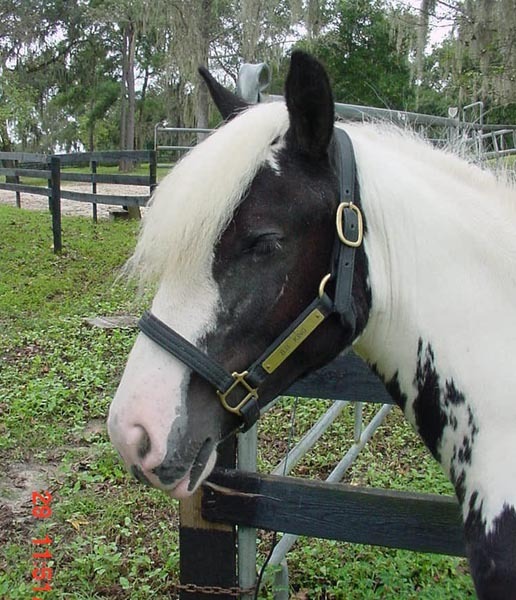 Petal at 9 years in 2012. 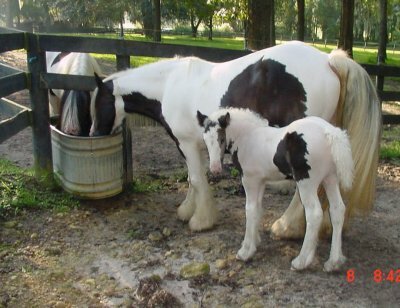 7 week old Winnie, 2 year old Moonflower and 3 year old Morning Glory. 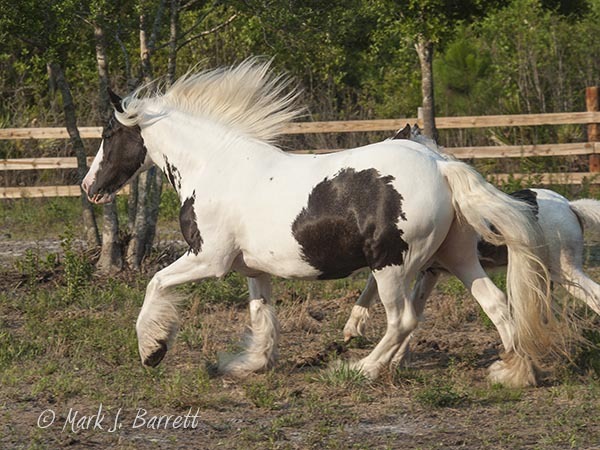 Top twelve photos of Petal are copyright Mark J. Barrett, www.markjbarrett.com. 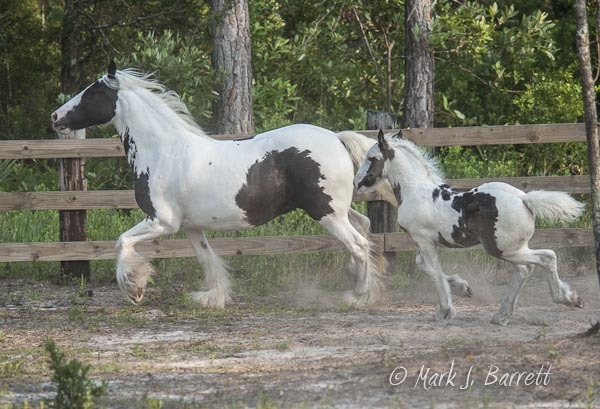 Photos of Rose and Cushti Bok are also copyright Mark J. Barrett.